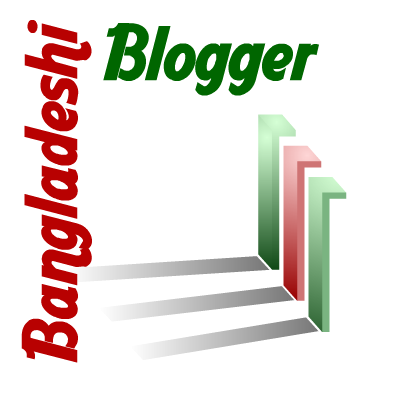 UPDATE: Now we’ve a new Bangladeshi Blog Aggregator named BDBloggerz. All Bangladeshi bloggers are requested to submit their own blogs there. For the last few weeks who have read and commented my post about Bangladeshi Blog Aggregator, they will be happy to know that Russell has kept his promise. He has launched the Beta version of the Bangladeshi Blog Aggregator. At last it has done. It is just the beginning. This site needs more polishing and needs an enormous way to go. But it can’t go that long without our support. As a Bangladeshi Blogger it is our duty to make a smooth way for this site. Previously some site has been lunched for the same purpose, but they failed to sustain. We hope that this time it will be a successful project. By setting up the site, Russell did a tremendous job for all of us. We the Bangladeshi Bloggers at last got our own Blog Aggregator. We hope it will not only be a Blog Aggregator but also be a Bloggers Community for Bangladesh. Therefore I am inviting all the bloggers of Bangladeshi origins to join this aggregator. As the site is in testing mode I have some suggestions (though I’ve mention some key features in my previous post). As a blog aggregator I think the site needs a 3 columns theme. As a personal site a 2 column site is more suitable than a blog aggregator. Cause it has to show more thing but in less space. User may not have that much patience to scroll through the whole site. 3 sidebars instead of 3 make this job easier. In the first page the posts are displayed in full length. A full length post does not fit in a blog aggregator. It would be more decorous if only a few lines (as excerpts) for the post (under the post heading) is displayed. Any one have any design sense so that we’ll have a gorgeous logo and some blog badges for this newly introduced aggregator? So that we can put on them in our own blogs. As the days go by, we hope more suggestions will come from the bloggers to develop the site. I’ve just installed Windows Vista Ultimatum in my laptop. I got the copy from Minhaz Bhai. Then I took it just for test, as I’ve never experienced Vista before. When I first installed it, I was so much puzzled about the tools, because it was little bit difficult for me to find out where the necessary tools were as it seemed a bit hazy to me. It has a stunning visual. But I am sure who are using KDE of Linux or UBUNTU, will not be amazed by seeing the visual feature. I’ve been using UBUNTU for the last few years, and I believe that Windows Vista has nothing special or unique features which are not in Linux. I like the gadgets that appear on the right side of the desktop. Specially the RSS Feed gadget which I think is very useful. Start menu becomes more clumsy as the sub-menus open within the main menu. The main drawback that I’ve noticed is that the driver’s scarcity. My laptop’s blue-tooth functionality couldn’t be installed for some dumb security reason! Every time I wanted to install the device from the original CD provided by DELL with my laptop, it shows the security center message, which in turns terminate the whole installation process. Windows Vista requires more than 9 GB memory space and minimum 1 GB of RAM. It’s a high requirement. UBUNTU with the same facilities requires only 2 GB memory space with a RAM of 256 MB. I don’t know whether other software will run in Vista or they will also be blocked for so called security systems. But in the first glimpse it could not win my heart which had done by Windows XP. My suggestion is that, if you’re buying new PC’s with Vista installed in it then it is ok, otherwise the unavailability of the drivers will be troublesome. So if you’re using Windows XP, I don’t think you should upgrade your PC only just for Vista. LabAid Cardiac Hospital – Reality Bites! Today while I was surfing the WORDPRESS tags (which I often do), I found several post regarding LabAid under the tag Bangladesh. And all of them indicating the dark side of LabAid. That made me curious, why on earth people abhoring LabAid so much. I personally didn’t get any chance to be acquaintanced with LabAid, so I had no idea what services actually they served. For those who don’t have any idea about LabAid, it is a cardiac hospital in Bangladesh. On television they broadcast an aesthetic advertise which surely convince any patient enough to get admitted to LabAid. Watching that ad on TV anyone can be persuaded that LabAid is the #1 cardiac hospital in Bangladesh. But the articles posted in WORDPRESS, redefined LabAid from a completely new angle. They take more than a handsome amount of money as their SERVICE charge, but if it is their SERVICE then where the word HUMANITY will hide itself? To read the full article please click here. To read posts on other blogs of WORDPRESS regarding LabAid click here. Posted on 23 January, 2008 20 September, 2010 Categories Bangladesh, English Blog, Life, NewsTags Bangladesh, LabAid, Life, Medical, Technology, TreatmentLeave a comment on LabAid Cardiac Hospital – Reality Bites! They named it Suzuki SXBox Xbox 360 Concept Car. It has been designed on the concept of XBOX360. From the picture two XBox 360s, 2 projectors, 2 LCD screens are visible. Also the green neon light give this car a gorgeous look. But the green rims makes it hideous. I personally prefer shimmering alloy rim. Whatever the rims look like the shape is super sporty.